Be awesome. Donate something really cool. 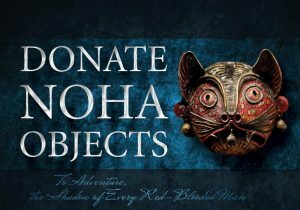 Members are donating swords, masks, gems, fossils, antiques, objects ‘d arte, airplane trips, prospecting excursions. Be creative. Use your awesome talents. Contact member Scott Warner 1184.